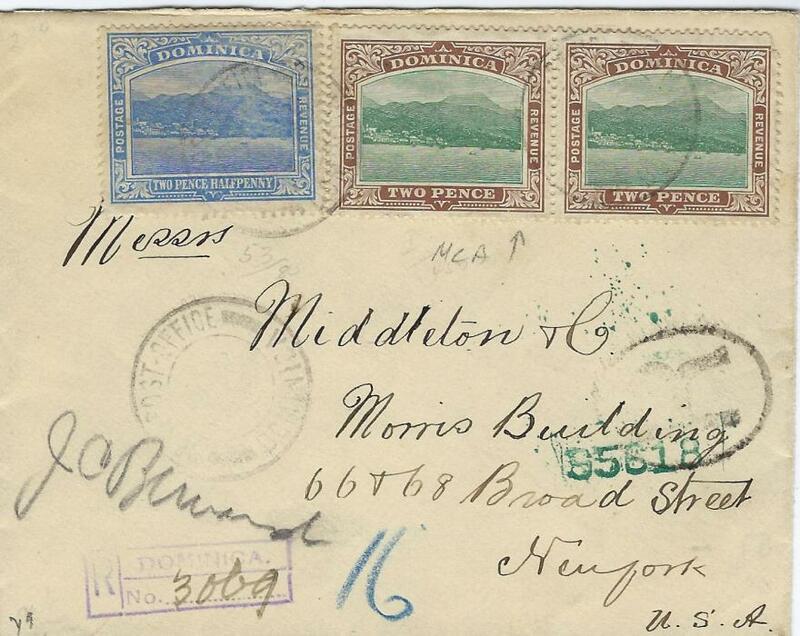 1909 registered cover to New York franked 1907-08 Wmk Mult Crown CA 2d. green and brown and 1908 2�d. tied Post Office cds, violet registration bottom left and black R oval at right, arrival backstamp. 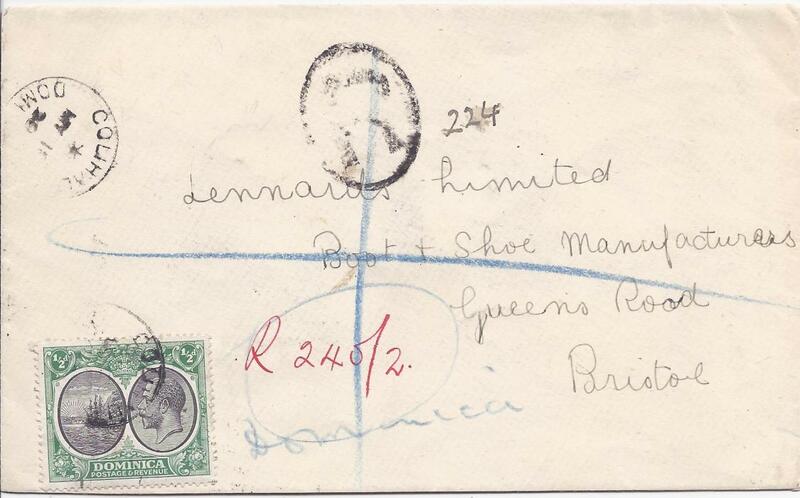 1929 registered cover to Bristol, franked 1923-33 �d (on front) and 1d. 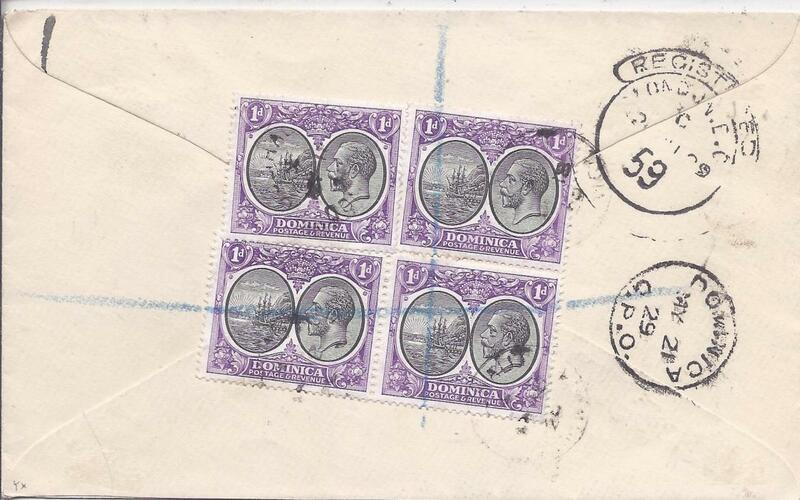 block of four (on reverse) cancelled Colihaut cds, manuscript registration, Dominica and London transit backstamps.